Gift a smile to yourself anytime and anywhere by learning the principals of Eastern Wisdom. Learn and Educate your mind to live in Inner Calm, Peace and Happiness. 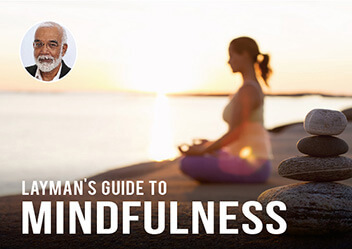 Practice Mindfulness through digital audio files that offer new perspective and benefits week after week online. 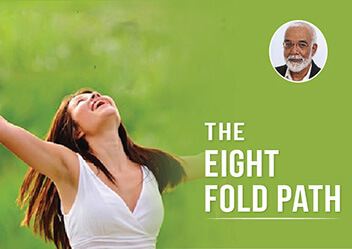 This will help you to explore the wisdom of great masters and their teachings to achieve well-being, manage pain and awaken to your inner potential. 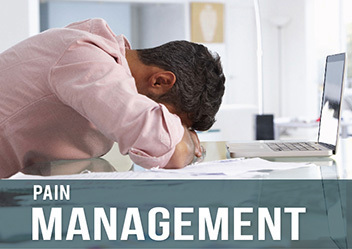 The program (weekly) introduces easy, simple practices of rest and relaxation that transitions to meditation. It is free from cult, dogma and belief. Educate yourself the art of rest, relaxation and meditation. 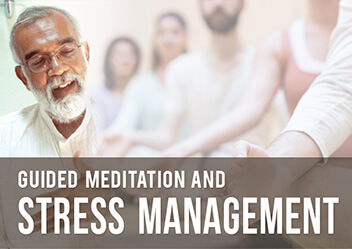 The program is an experiential learning, engages participants acquire knowledge of the principles of eastern wisdom, followed by small and easy practice, sharing of experiences to induce relaxation anytime and anywhere within few minutes. 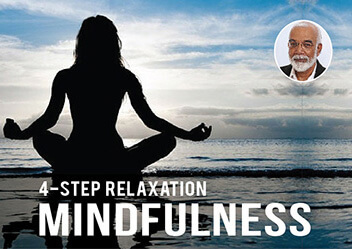 The 4 Step relaxation Practice is adapted from the teachings of a great master Astavakra lived more than 3000 years ago. The master says that when we consciously withdraw the mind and allow the mind to rest within, we awaken to peace and happiness. According to eastern wisdom, pain, suffering, afflictions, discomfort, reaction, agitation have one common cause i.e. ignorance, wrong or incomplete knowledge. This ignorance dissolves, destroys and transforms by regular practice. 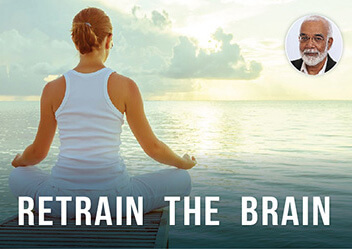 Retrain the brain program helps you to manage anxiety, stress, physical pain, enhance awareness, increase memory, focus and induce deep relaxation, peace and happiness based on the teachings of great masters who lived 3500 years ago. Buddha discovered the eight fold path of mindfulness aims at awakening to inner peace and happiness. It also brings an end to sufferings. The eight fold path explains the basic principles and practice of mindfulness.